In that post about cheating, I mentioned that it was partially drafted on the site 750 words (as was this post). 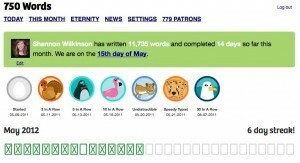 I’ve been on and off of 750 Words for the last year, racking up over 80,000 words in 98 different daily entries. 750 Words is a very simple journaling site that counts your words as you type and let’s you know when you’ve reached 750 words. It has a clean easy-to-use interface, and somehow the wide blank screen invites you to write rather intimidates you. The creator of the site, Buster Benson, wanted to do something like morning pages from Julia Cameron’s creativity classic, The Artist’s Way. The idea of morning pages is to write three pages long-hand each morning before doing anything else. It clears the gunk out of your mind so you can get to your creative work with clarity and ease. I’ve dabbled in morning pages off and on for years. About 10 or 15 years after I started, I read about 750 words. I always like writing my morning pages longhand, so I wasn’t sure how typing into a website would be. There are still plenty of times when I write longhand. There are just some ideas that come out better that way. But for these morning pages, this dump of whatever is in my head when I wake up? Typing is just fine. The site also gives you plenty of electronic cookies for getting your writing done. I love the chain of green Xs at the top of each morning’s page. I love the badges you’re awarded for doing certain numbers of pages in a row. I’m back at a penguin, and working again toward a Flamingo. You can also get badges for completing your 750 words without distractions and in a certain amount of time (that’s a cheetah!) I find myself wanting certain badges. Right now, I’m coveting the Turquoise Horse. Which is elusive. You get it for publicly joining a monthly challenge, and writing 750 words every day that month. Beyond the morning pages idea, there are people who write novels on 750 words. People who journal. People using it for more things than you can imagine. 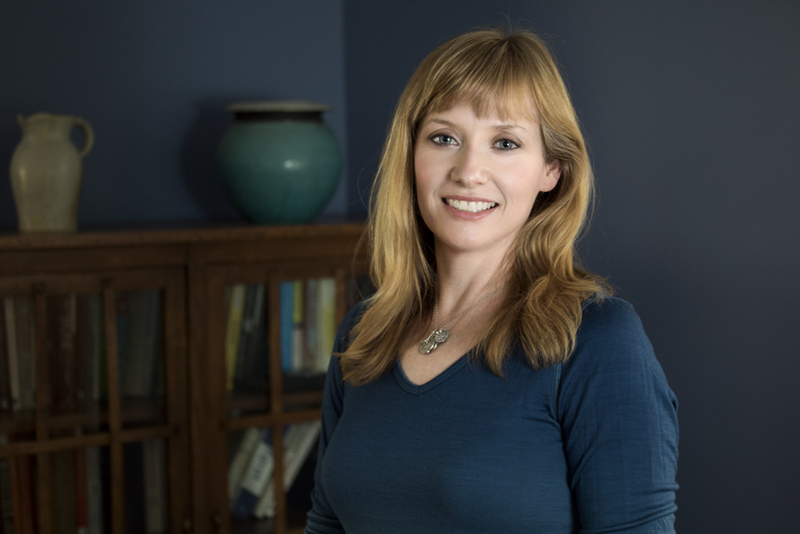 If you’re interested in cultivating a writing practice, I highly recommend it. 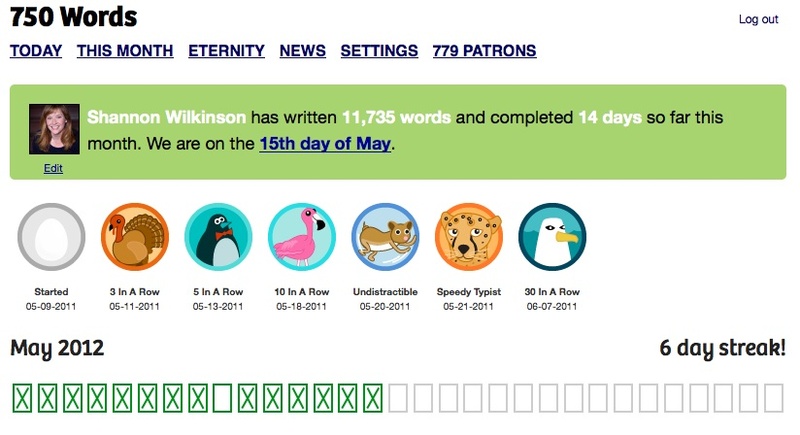 If you do give it a try, you might be very surprised at how motivating those green Xs and silly animal badges can be. Thanks, Shannon, I need this kind of motivation. You’ll see me on the site soon. You’re welcome Lori! Also, YAY you have a blog! Can’t wait to spend some time there. And finally, so great to see you here!